Huckabee Has A Sugar Daddy - Joe.My.God. Almost all the money raised by the super PAC supporting former Arkansas Gov. 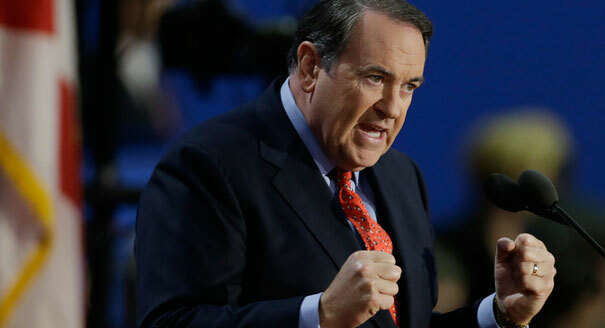 Mike Huckabee came from one donor: Ronald Cameron of Little Rock, Arkansas. Cameron, the CEO of the agribusiness behemoth Mountaire, gave $3 million to the pro-Huckabee super PAC Pursuing America’s Greatness, according to a Friday FEC filing. Cameron is a regular donor to major Republican causes. After Cameron, Sharon Herschend of Herschend Family Entertainment donated $500,000 to the super PAC. Real estate investor Jon K. Gibson and Cary Maguire, president of the Maguire Oil donated $50,000 each. In total, the super PAC raised $3,604,855.94. In other words, about 98% of the donations came from just three donors.